Rear-end accidents happen when one sweeping vehicle runs into another vehicle in front, involving two or more vehicles heading in the same direction on the same road. This frequently happens in cities with stop lights or sometimes even in highways and freeways. This also happens sometimes when one driver is following too closely, or simply not paying enough attention to see that another car in front is actually slowing down or has completely stopped. This kind of accident is very likely to result in a multiple-car pile up in heavy and bustling traffic areas, or when you’re driving too fast and you need to abruptly stop due to unexpected circumstances. When rear-end accidents happen, injuries that result are inevitable. The extent of these injuries may vary depending on the severity of the accident. They could vary depending on the size and weight of the vehicle, the position of the people involved when the accident occurred, the age and health status of the people, or the parts of the car that was hit when the collision happened. The kind of injuries that would result from a rear-end accident can be as simple as minor abrasions to major spinal disc injuries, or worse, loss of limbs or death. This is why in Nashville, the law requires the driver to always give high regards to traffic laws like driving at a safe speed and keeping a safe distance from any car in front, especially in busy traffic areas. In situations like a rear-end accident, speak with a competent car accident lawyer right away. There are a number of reasons why your car collided with the one in front of you and multiple parties could be at fault. A car accident lawyer in Nashville, especially one who is experienced in handling rear-end accident cases, can pursue multiple defendants that are also partly responsible for the collision. Expert lawyers would look into evidences and review all circumstances which led to the unfortunate event. It could be that the manufacture of the car’s brakes are at fault if there are skid marks and it was proven that the driver did as much as he could to step on the brakes and to no avail; or another trailing driver suddenly squeezed through into the rear driver’s lane, cutting off the rear driver’s lane resulting to a rear-end collision, then the driver who abruptly changed lanes could be partly responsible; or the driver in front could be responsible because his tail lights might be broken or did not work properly at the time of collision. These and many more possible causes could be the reason why it led to a rear-end accident. 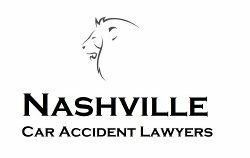 Nashville expert car accident lawyers look carefully into the possible reasons basing on the evidences and would possibly reconstruct the event at the time of the accident. You are well-advised if you call a competent Nashville lawyer today!